Word of Faith has its roots in a pagan cult that rivaled Christianity during the first three centuries of the Christian era, known as Gnosticism. The early Church fathers, such as Iranaeus eventually refuted and destroyed it. Various Gnostic cults existed, but all held to a form of Dualism. This meant matter is bad and spirit is good. The Bible, however, teaches God created both realms and called all creation, spiritual and material, ‘good’. Some Gnostics even taught two gods: An evil one which governed the material realm and a good one, the spiritual. All, however, held that a series of spiritual laws exist between the two dimensions by which both realms could be controlled. Certain spiritually elite people were endowed with a special “gnosis” or “revelation knowledge” by which they could learn to manipulate these laws to their advantage … even to controlling their own spiritual destinies. A Gnostic goal was to attain to divinity and become a kind of creative “god.” This was through the “releasing” of his spirit from the material realm through his special “knowledge” of the mystical forces governing the universe. The parallels between ancient Gnosticism and Word of Faith are too striking to ignore. But how did Gnosticism get transported into the 20th Century? For this information, we are deeply indebted to Judith Matta, author of The Christian Response to Gnostic Charismatic Heresies.Judith is probably the foremost expert in the U.S. today on the Gnostic origins of Word of Faith. She is a graduate of Talbot Theological seminary and a first-class scholar. In 1875, Mary Baker Eddy published Science and Health, thus launching the Christian Science sect. The First Church of Christ Scientist was founded in Boston in 1879. Eddy had adapted many of the early Gnostic concepts in her writings, which included the denial of the reality of illness and matter. One of the early converts to Christian Science, and a member of the Mother Church from 1903 until his death in 1908, was Dr. C.W. Emerson. He founded a college in Boston around the turn of the century called Emerson School of Oratory. This was a prep school for boys, not a Bible school. One of the early students of Emerson’s school was a young man by the name of E.W. Kenyon. Kenyon picked up some of the Gnostic concepts and incorporated them into his own writings later on. 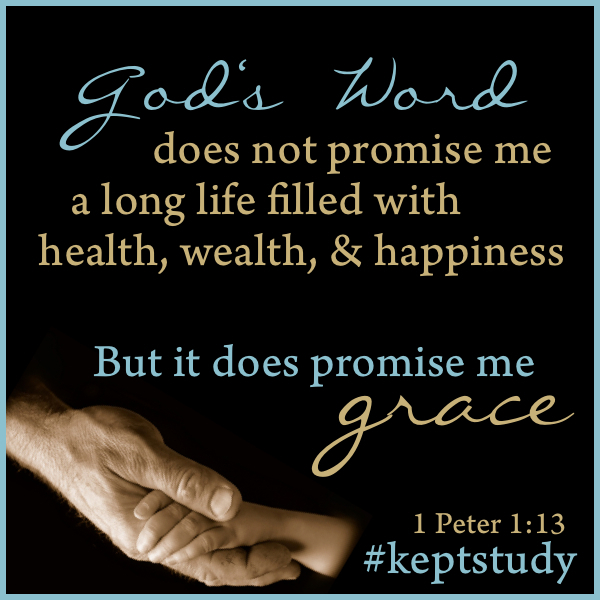 The terms, “Word of Faith” and “Revelation Knowledge” are found throughout Kenyon’s books. Positive rhetoric characterized his style and much of what he wrote is legitimate. He exalts the power and lordship of Christ skillfully and expounds certain aspects of the authority of the believer. Unfortunately, errors abound in nearly every chapter. Through this, a dangerous and subtle error enters. If a person swallows it, then the Bible itself comes to be judged by the standard of the “revelation knowledge” that one experiences subjectively. Subtly and unconsciously, the reader of Kenyon becomes his own standard of truth. Kenyon forgot the eye that reads the Bible, the ear, which hears it, and the brain that correlates it are all physical organs. The Bible is a human book as well as Divine. Bypassing the senses and reason inevitably leads to bypassing the Bible also. Untrained Christians eager for supernatural experiences can easily fall into Kenyon-style mysticism. Kenyon died in 1948, but the Gnostic torch didn’t die with him. It was embraced by a young Pentecostal hungry for the supernatural, Kenneth Hagin … the recognized founder and leader of the Word of Faith movement. Though Hagin based his views largely on Kenyon, he himself contributed some interesting “revelations” of his own along the way. In the introduction to one of the older editions of his “Art of Intercession,” he describes his eighth “visitation” of Christ. A spirit being, identifying itself as “Jesus Christ,” came into Hagin’s room, sat down and talked for about an hour and a half. This “being” apparently forgot to do its homework before categorically denying the Sovereignty of God. In Hagin’s seventh “visitation,” the spirit being told him not to pray for his needs any more but to command the angels to get them. Again, this “being” missed some key scripture. Our Father in heaven…give us this day our daily bread. Matthew 6:11 In the context, the Jesus of the Bible commands us to pray to the Father for the fulfillment of our needs. Am I implying that the “being” who visited Kenneth Hagin and gave him the Word of Faith revelations is not really Jesus Christ, but a deceiving demon? Be assured, I am not implying it. I’m stating it as a fact. In its beginnings, the Charismatic movement was innocuous. Nothing is wrong with seeking new fillings with the Holy Spirit or spiritual gifts. In fact, we are commanded by scripture to do so. A fundamental flaw in the movement, however, was the lack of solid theological foundations. Charismatics had rejected dead orthodoxy. However, many failed to appreciate the alternative….live orthodoxy. Instead, a mindless mysticism developed. Hagin’s teachings found fertile ground in the new movement. 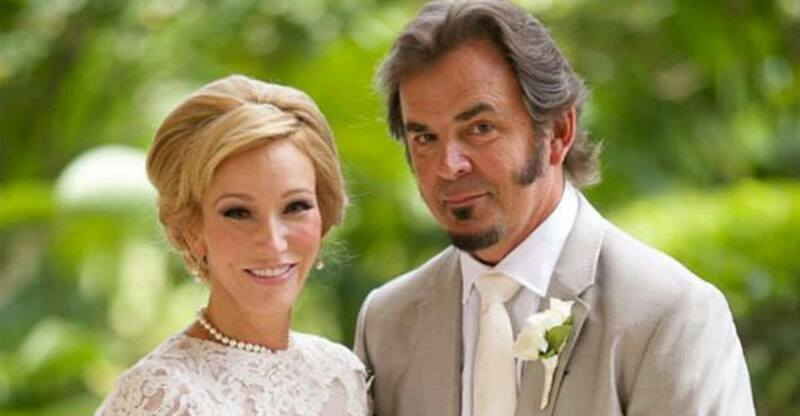 Many Charismatics were middle-class Evangelicals. While interested in exciting experiences, they were less enthusiastic about joining with traditional Pentecostals. Classical Pentecostals were often from a poorer and less educated class. Charismatics were ripe for fresh teaching within their own sociological context…a scenario primed for a Hagin hijack. Though Hagin was the acknowledged leader, he was not as articulate as some followers. His country accent, poor grammar and obvious lack of formal education had little appeal to the middle classes. The movement gained momentum with the more articulate and younger Kenneth Copeland. His book Laws of Prosperity launched him to Faith Movement stardom, offering a new worldview that filled in the theological gaps left by an abandoned orthodoxy. 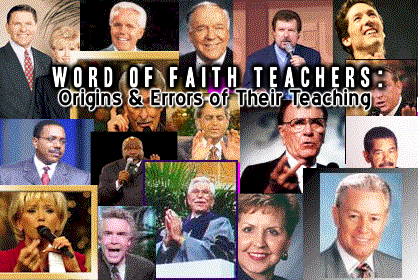 Books by “faith” teachers flooded the market and the new Charismatics snapped them up like starving fish after bait. Sadly, cash flow rather than truth determined what books appeared in the Christian market. Those with a dissenting voice found it difficult to get their books published. An even bigger boon for the Prosperity Movement came in the 80’s when Paul Crouch of Trinity Broadcasting Network (TBN), announced the faith movement was the route he would take in his programming. 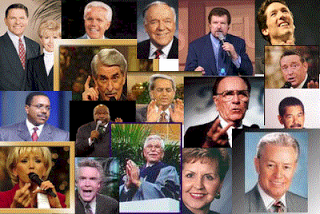 Jim Bakker of the PTL Network and Paul Crouch endorsed the faith movement’s concepts, giving it worldwide exposure. Result: Gnosticism, disguised under the banner of “faith,” began to root itself deeply into the psyche of American Charismatics. As with the United States today, Rome had been a prosperous society. In the first three centuries as Christianity was taking root, Rome was in its declining years. The society was rife with corruption. Established governmental and religious institutions seemed helpless to stem perversity throughout society. The middle and upper classes of any society, whether ancient or modern, are used to controlling their own lives. Under insecure social conditions, optimism about the future weakens and their sense of control begins to slip. These conditions generate a psychological crisis. American Christians today are subject to similar pressure. The dilemma: How to experience the comforts of the gospel while maintaining the sense of control to which they are accustomed. 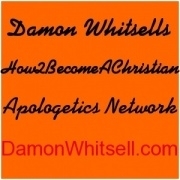 As in Rome, this provides fertile ground for a Gnostic-style pseudo-Christian movement like Word of Faith to take root. As a convenient byproduct, the teachers reap a financial harvest. Middle and upper-middle classes have money and are responsive to the positive rhetoric and fresh revelations. Everyone seems happy…except God. Second, two books warning about the movement were published and became well known: Hank Hanegraaf’s, Christianity In Crisis and Dave Hunt’s Seduction of Christianity. Finally, the most serious blow came with the fall of Jim Bakker (PTL) in the late ‘80’s, and similar scandals among American TV evangelists. These events, however, were only a trimming of the branches and failed to penetrate the roots of the movement, namely Hagin and Copeland and their false god. Though weakened, the tree still flourishes in the U.S. today. An historical irony has occurred. The same pagan Gnosticism which rivaled Christianity in the first centuries, which early fathers fought to destroy, has resurrected once again to infect the Church today. • The Prosperity Movement is a revival of Gnostic concepts, translated into Christian language. • These Gnostic ideas were conveyed by Mary Baker Eddy and her Christian Science cult, to Dr. Emerson of Boston. Eventually, E.W. Kenyon merged them with Christian doctrines. • Kenneth Hagin embraced Kenyon’s teachings and transmitted them to Kenneth Copeland and others. • The Word of Faith movement found fertile soil in the Charismatic Movement and virtually hijacked it. • The movement’s popularity can be explained in sociological terms. Conditions in the United States today are similar to those which fueled Gnosticism in ancient Rome. Chapter 13: Denying the Symptoms: Is it valid? Chapter 14: Did Jesus Heal Them All?